Hands On offers a range of volunteer programs designed to provide everyone with the opportunity to make a difference in our community. Use the left-hand menu or scroll down to learn more about the different ways to get involved! ► Have a few hours? Check out our Project Calendar to find a variety of "done-in-a-day" volunteer opportunities. Look for *Hands On* in the title to find projects managed by us. You can sign up in two clicks to join a group of volunteers on a 2-4 hour project, led by a trained volunteer leader; no experience or ongoing commitment required! Look for "Bulletin Board" in the title to find a digest listing of other volunteer shifts happening that day, managed directly by our many wonderful nonprofit partners. Each listing includes specific information on how to get involved by contacting the organization directly. ► Looking for more in-depth opportunities? Search all of our volunteer opportunities to find longer-term or skills-based opportunities with our 300+ non-profit partners. You can hone your search by keyword, issue area, availability & more! In the search results, look for opportunities with "Referral" in the title and time listed as "Open" to find longer-term or skills-based positions that could use your help for more than a single shift. Click on "Express Interest" at the bottom of the opportunity detail page, and our Nonprofit Partner will contact you directly with further information about the volunteer opportunity you've chosen. How do you maximize your fun while making a difference in your community? Rally your friends and family and create a volunteer team! By creating a team and using some basic tips and tricks while searching for projects, you’ll be able to sign up your family, school group, service club, and more for volunteer projects in just a couple of clicks. Volunteer with your whole family! Or as parent and child together. Make a positive difference in the community! Teach your kids the importance of helping others. Enjoy time together as a family. HAVE FUN! Want to meet new friends while making a difference in your community? Whether you have school service requirements to complete, or simply want to find a fun and rewarding way to spend you free time, Hands On can connect you with hundreds of volunteering options! 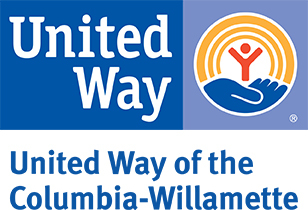 At United Way of the Columbia-Willamette, we’re working hard to create a future where kids in our region are free from instability and worry so they can be free to play and discover, free to learn and grow. Together, we can make our region a better place. Our Do It Yourself volunteer projects have been developed to give individuals and families, families and groups of all sizes the opportunity to engage in community service anytime and anyplace. Want to take your commitment to the next level? Hands On provides training on how to lead well-organized and meaningful volunteer projects for those interested in growing their impact. Hands On Volunteer Leaders play an important role on Hands On managed projects, as well as special events and days of service. Find resources to help you complete your community service hours and turn a requirement into a positive opportunity. Hands On Greater Portland makes it easy for your company or organization to get involved in our community in a meaningful way. Hands On Greater Portland mobilizes volunteers on a number of special events each year, from January’s United Way MLK Weekend of Service to Comcast Cares Day in the Spring. Join us! Hands On Greater Portland is working to support our nonprofit partners in East Portland, Gresham, Fairview, Troutedale, and other parts of East Multnomah County. These organizations are looking for local residents to get engaged in East County!